Over the past 50 years, our team of fabulous volunteers and amazing horses and ponies have worked tirelessly to provide therapy, achievement and endless fun to many many adults and children with disabilities. As a celebration of all that we have achieved during that time and all that is still to come, we would be delighted if you would join us at our 50th Anniversary Gala Ball at the Crowne Plaza Hotel, Stratford upon Avon on Saturday 22nd September 2018. As we rely solely on voluntary help, fundraising and donations to deliver our services, your support is vital, so please join us as we celebrate 50 years of outstanding achievements. 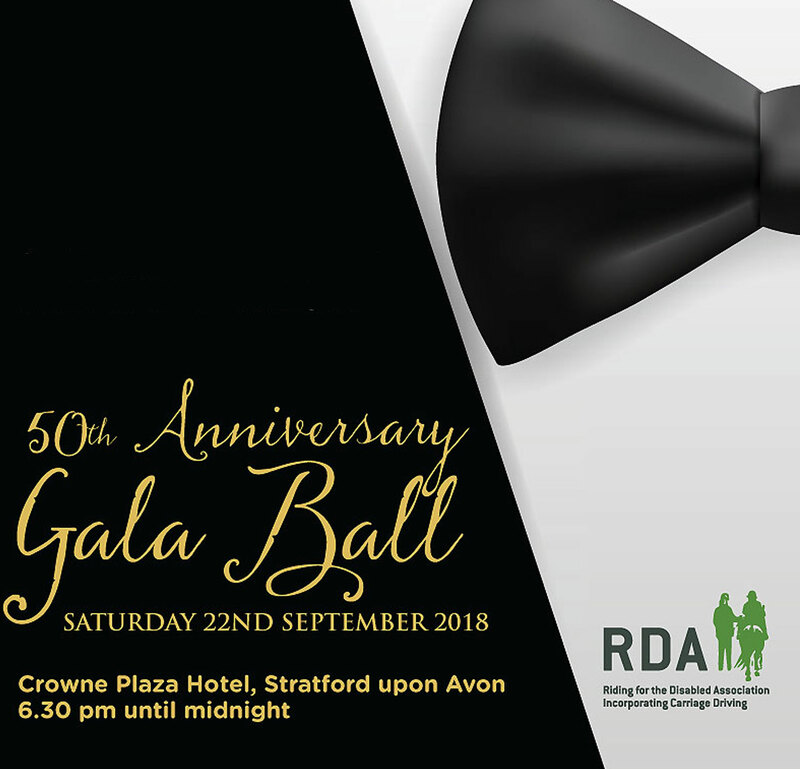 Stratford upon Avon RDA group is in its 50th year and to celebrate the event we are holding a Gala Ball. Donations of Auction and Raffle prizes will be gratefully received to help us raise funds for the Group on the night. To download a 50th Anniversary Gala Ball Poster PDF of the event please click the link. Previous post: Our new classroom has arrived! Whoopee!!!! Next post: Chernobyl’s Children join us for a mornings fun!